Wabi-sabi is a concept in traditional Japanese aesthetics centered on the acceptance of transience and imperfection. The aesthetic is sometimes described as one of beauty that is “imperfect, impermanent, and incomplete”. Loosely translated, “wabi” is simplicity, whether elegant or rustic; “sabi” means the beauty of age and wear. 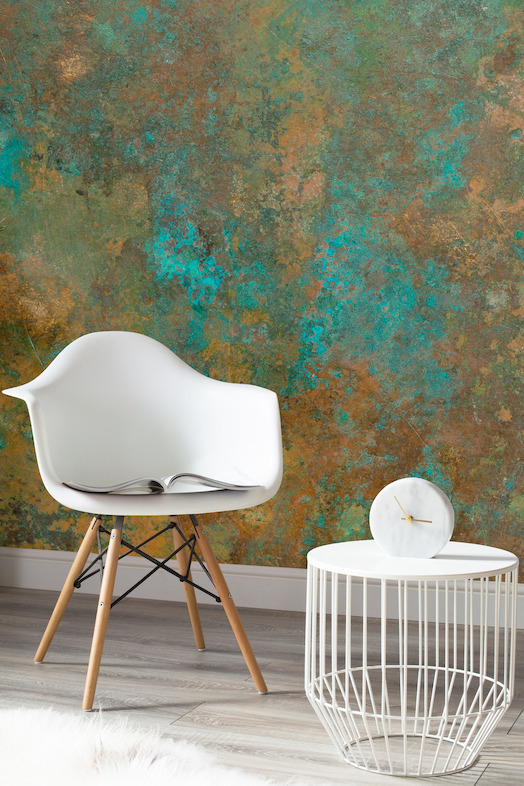 Embrace the perfectly imperfect with these stunning Verdigris-effect murals by Murals Wallpaper. 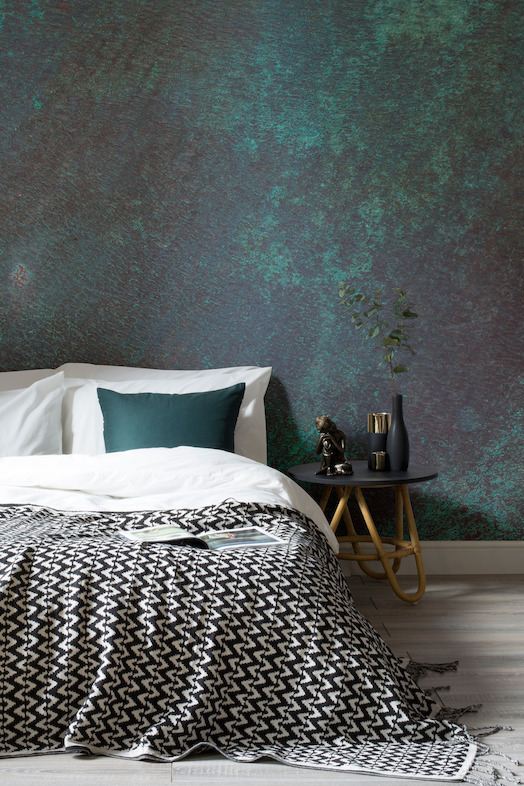 The murals utilise modern digital printing techniques that capture the intricate, close-up detail of the oxidised metal effects in HD on the highest quality textured paper. The prints can be hung just like normal wallpaper, but allow for a bigger impact, creating a statement wall. All products are made-to-order and custom sized according to the customer’s wall dimensions.